Hydro jetters are basically large pressure washers with specialized high pressure hose and heads designed to clean a round pipe from inside. Hydro jetters are capable of cleaning debris and build up that a traditional cable machine would normally just stir. 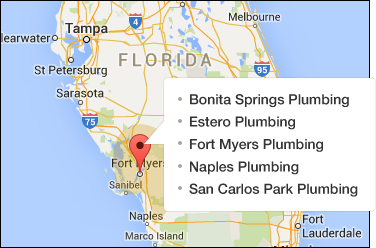 Large grease or organic clogs in restaurants or residential kitchen sinks may need jetting to clear. Traditional cable machines pop a hole down the middle of your drain but it will soon back up again. The Hydro jetter has the pressure to knock the grease and organics off, then the water to immediately wash it away restoring your line to the original diameter. If you have paid someone more than once to clean the same line with traditional cable machine, you likely need Hydro jetting. We have several Hydro jetters in different sizes. We have a 4000 psi gas jetter that produces 4 gallons per minute and a large trailer diesel jetter that produces 4000 psi at 18 gallons per minute. 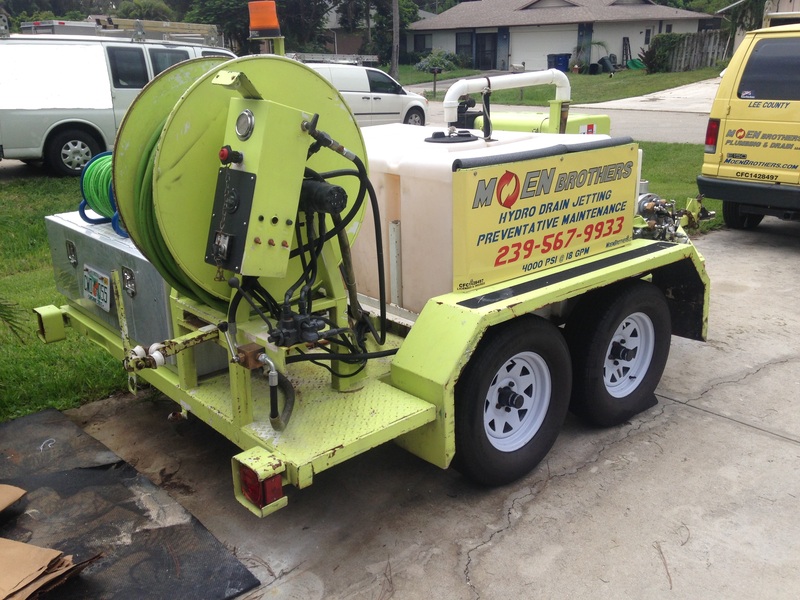 The smaller hydro jetter is mainly used for residential use and the large jetter used for commercial kitchens and storm drains up to 18 inch in diameter. Please watch the video at the bottom of this page if you would like to see this machine in action on a de-scaling job. The Harben 4018 is capable of Hydro jetting lines at 4000 psi @ 18 gpm for distances up to 500 feet. In other words, no problem. Descaling is a process that only applies to homeowners with cast iron sewer lines. Cast Iron was widely used here in Southwest Florida up until the late 70’S in residential homes. Cast Iron is very strong but rusts in the salty Florida ground. This rust builds up inside your pipe making the inside jagged and no longer round. Toilet paper flushed down these pipes gets caught up, stuck on the rust like hooks. Descaling knocks the rust off restoring the pipe to its original round and smooth surface. There is usually plenty of good steel beyond the rust but a sewer camera inspection should be performed to make sure the pipe is in good enough shape to be descaled. Thinner 1 ply toilet papers and better performing toilets are usually just a temporary fix. If you would like an estimate or have some questions, don’t hesitate to contact us.